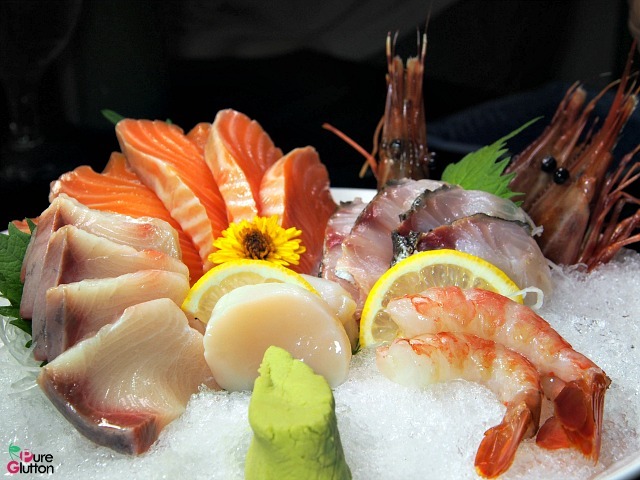 Fu-rin Japanese Restaurant: Boston lobsters and new menu! Holiday Inn Kuala Lumpur Glenmarie is a sprawling property which incorporates 2 blocks of guest rooms facing a huge expanse of rolling golf greens. Located far away from the madding crowds of the city, this is a perfect spot for some R&R, like catching up with friends and family over a meal. Fu-rin, their Japanese restaurant is just next to the main entrance of the hotel and guests walk along a paved walkway on a grass slope to the restaurant. It’s even prettier at night when lanterns are lit up in its garden. Its name “fu-rin” is actually a small Japanese wind chime believed to ward off evil and all negative forces. The interior set-up is simple, almost bordering on “basic” but the charm lies in the food it serves. 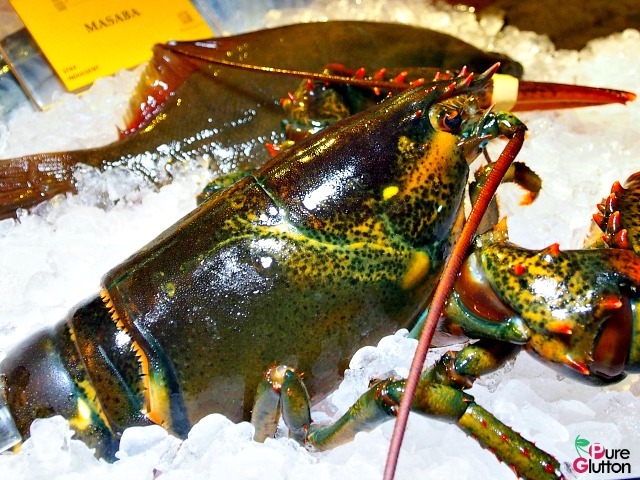 Boston lobster is all the rage now as it’s in season and plentiful, at least till the year end. Our Ise Ebi Teppanyaki was lobster done teppanyaki style. 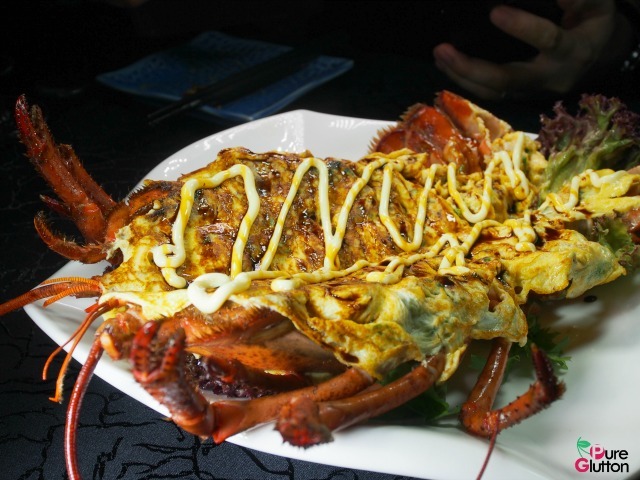 The big crustacean was split into two down the middle and grilled on the teppan stove with butter and soya sauce. A creamy egg omelette was then smothered over it and drizzled with some mayonnaise. I would have preferred my lobster to be cooked in a plainer method but it’s a good thing the lobster remained sweet and delicious underneath the eggy blanket. I enjoyed the Ise Ebi Miso Shiro soup as it’s like a treasure bowl holding chunks of sweet succulent lobster submerged in an intense miso broth. 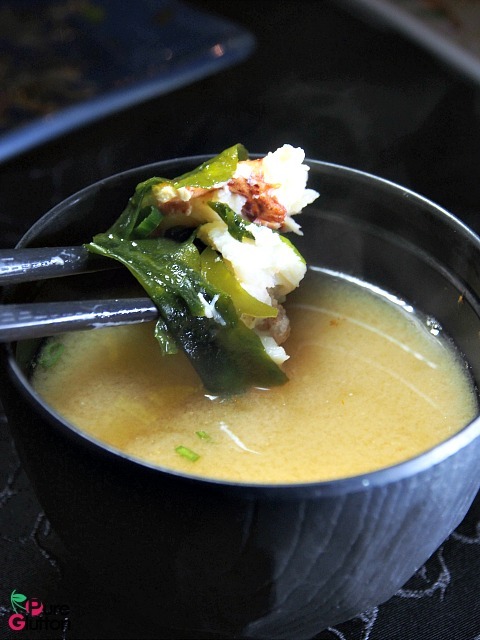 It’s like the mother of all miso soup – the umami flavours coming from the lobster and aromatic beany nuances from miso. The Pan Furai Wafu Toriyaki (Japanese-style Pan fried chicken) was a piece of art in its dramatic presentation. 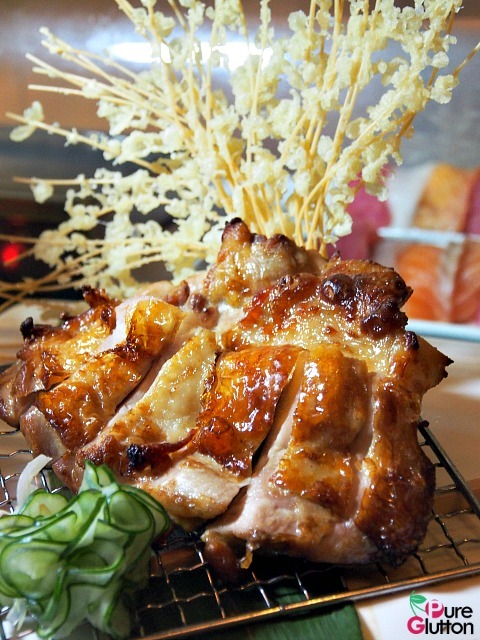 The tender succulent chicken thigh was well flavoured with a fusion of Japanese sauces and pan-fried till the skin was glazed over in a golden sheen. I like the sweet subtle flavours which did not overwhelm at all. 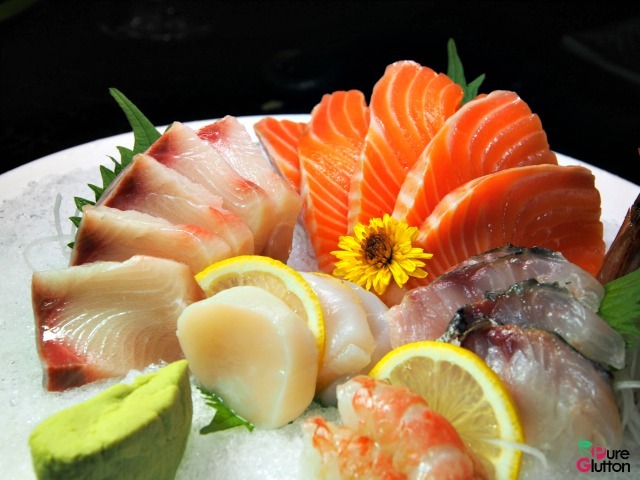 Sashimi but not almost, that’s what the Sashimi Carpaccio Aburi was all about. It was Seared Fish Carpaccio style actually. 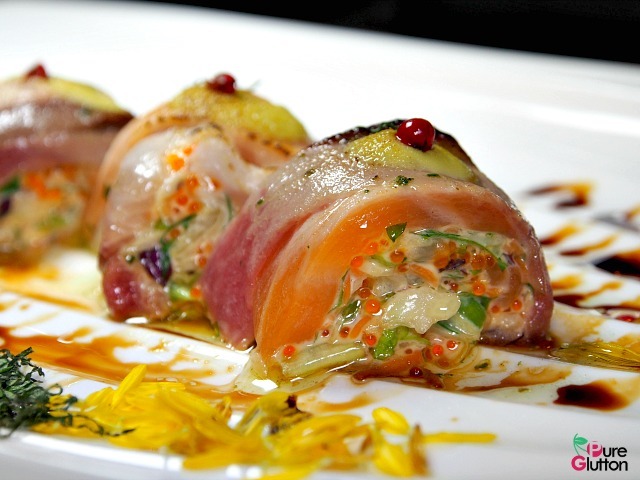 Presented as luscious rolls with layers of sashimi folded over, the top layer was lightly seared to hold its shape and dotted with ebiko. Bursting with marine sweetness with every bite, we cleaned out the plate and ordered a second one. 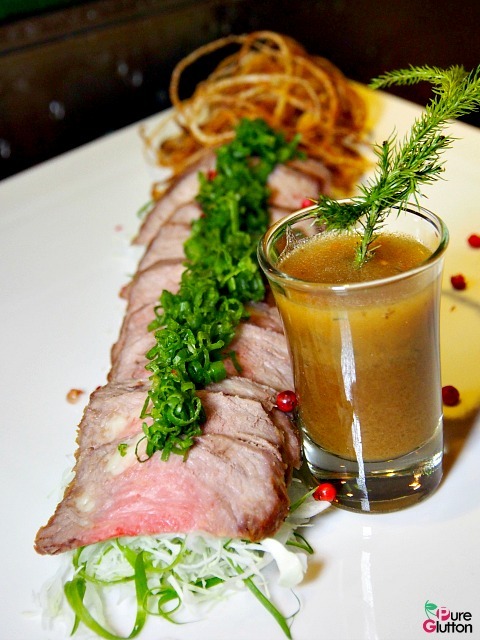 The chef certainly outdid himself with the Wasabi Beef. Slices of meltingly tender sirloin sat atop a bed of shredded radish, the centres pink and juicy. Just before popping these babies into the mouth, douse the slices with the wasabi-tinged ponzu sauce and you get a rocking bovine party! 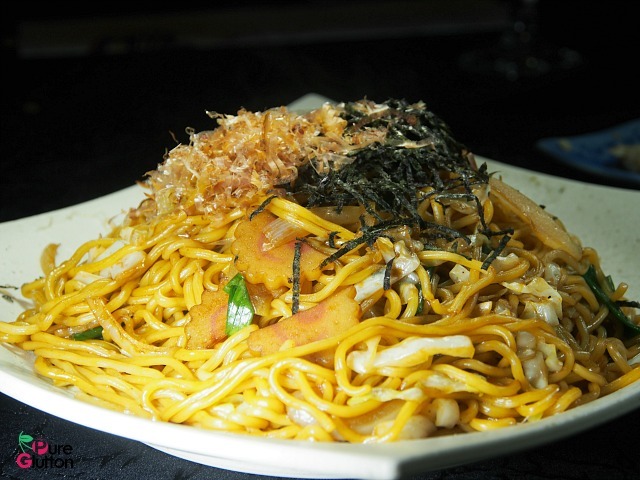 Ebi Tango Furai – pretty golden globes of Deepfried Prawnballs were easy to pop into the mouth. 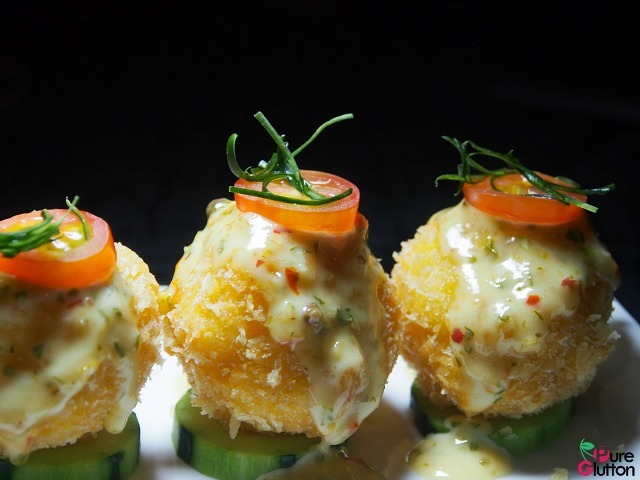 The springy minced prawn was divine and each crumbed and crunchy ball was hatted with a sliver of cherry tomato – such attention to details is really commendable. 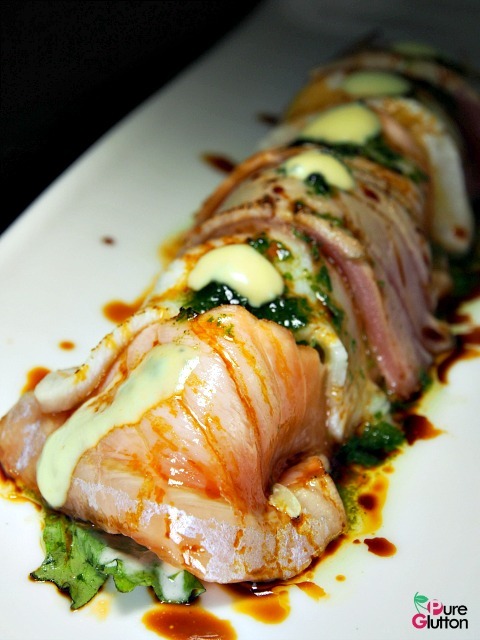 If you are a fan of maki rolls, the pumped-up Fu-rin Creamer Maki is a must-order. 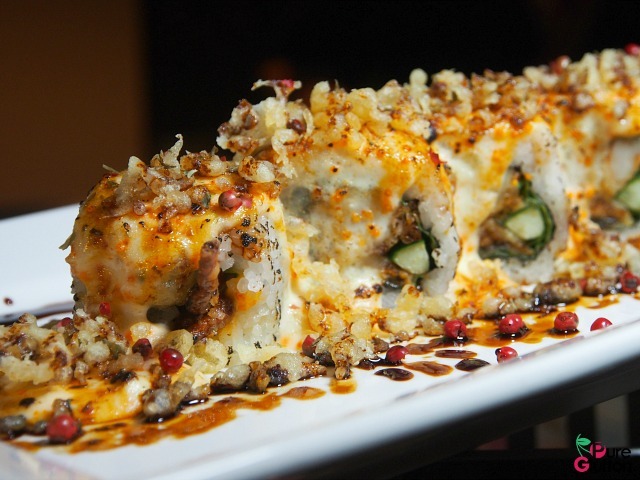 The assorted seafood rolls were rich with creamy mayonnaise, studded with lots of tempura flakes and for a kickass bite, mop up the scattered pink peppercorns by the side. Before we rounded off the meal with the very tasty ((yet deceptively simple appearance) of the Yaki Soba (Fried Buckwheat Noodles with Seafood), we were treated to a huge platter of Sashimi Moriawase. 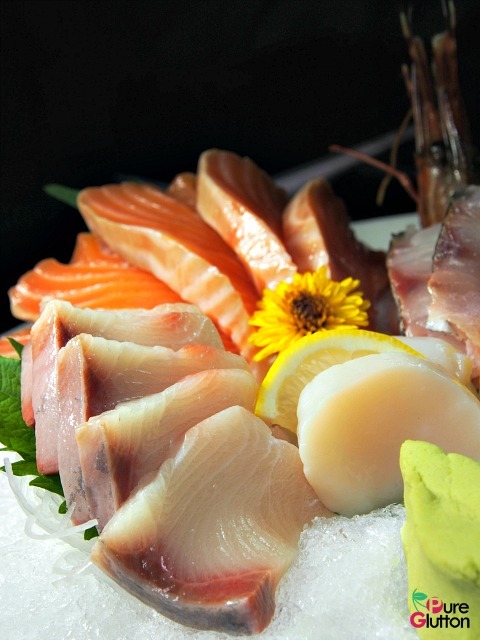 Thick cuts of salmon belly jostled for space with yellowtail, snapper, scallops and the sweet Amaebi on the plate. Every single piece was fresh and sweet – enough said. 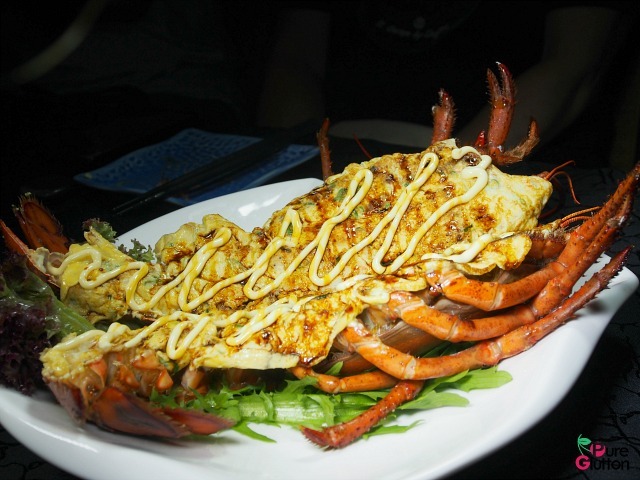 If you want to catch the Boston lobsters in Fu-rin, do go there before the end of this month. 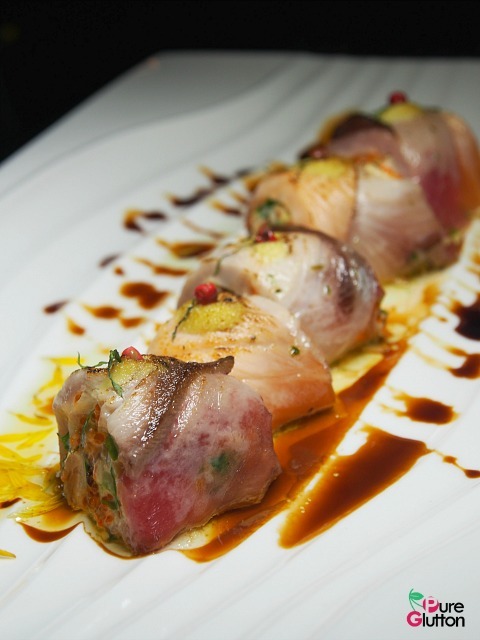 The rest of the dishes are the new additions to their revamped menu.